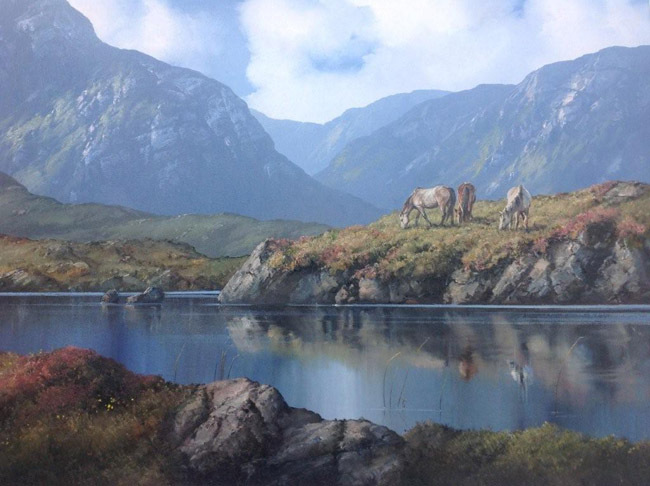 We are now offering a new service "HOME VIEWING" which covers all of Ireland, where you can peruse your selected paintings in the comfort of your own home, without pressure and no obligation to purchase. 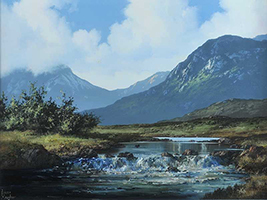 All works are personally selected by the owner, Brian Andrews, and careful attention is paid to authenticity, condition and quality. 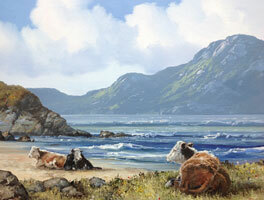 A wide range of subject matter is always available, including landscape, marine, sporting, figurative and still-life. We also have a Corporate Art Service recommending interesting and innovative solutions within reasonable budgets. We will work with architects and designers to offer a complete recommendation or develop an existing theme or corporate image. 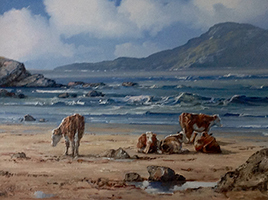 We also commission artists to paint specific work, landscape and children on the beach. As ever we will continue to offer you a professional, friendly, confidential and personal service. All enquiries welcome, contact details below. Oil on canvas 36"x 24"
Oil On Deep Edge Canvas 24"x36"
Oil on canvas 6"x 6"
Oil on Canvas 12"x 16"